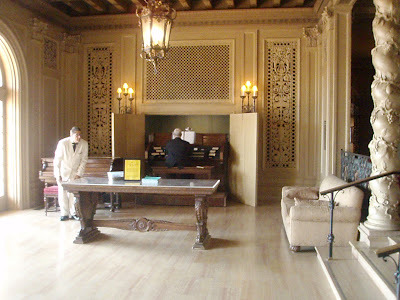 This guy was playing the magnificent pipe organ at Philbrook in the Grand Hall. Where are the pipes? It looks like when the two doors are shut one would never know it's even there. In all the years I've visited this place I've never seen anyone at the organ or heard the resounding music! Awesome!